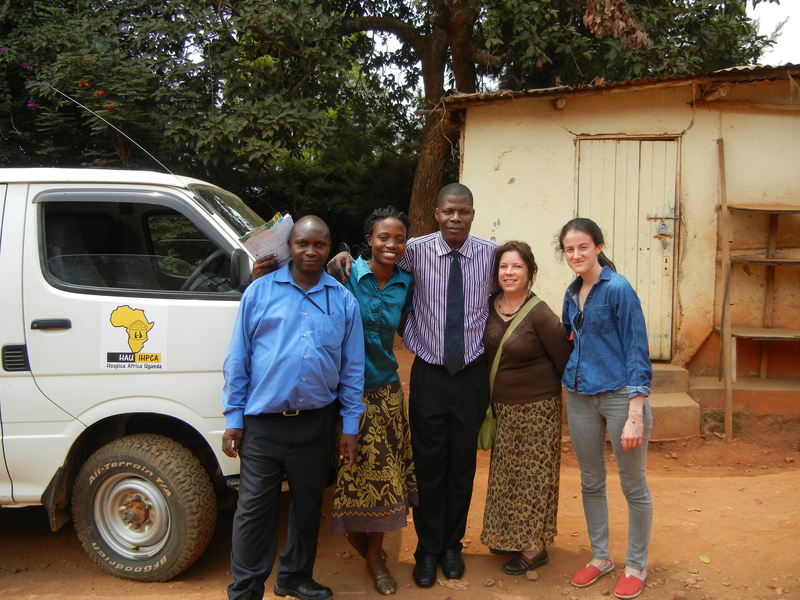 On Thursday, Jenna, Sammi, and I were invited to participate in three home hospice visits with Dr. Moses, Octavia, the nurse, and Kavuma, the driver. All of the patients we saw, one with HIV/AIDS and two with cancer seemed to be stable if not improving with their pain. Both the nurse and the physician were very compassionate and fully assessed all of the issues that were bothering the patients. Hospice provides a holistic approach to patient care and addresses both medical issues, like pain, and the non-medical issues such as financial and social concerns. Sometimes just providing a listening ear can be the perfect medicine. 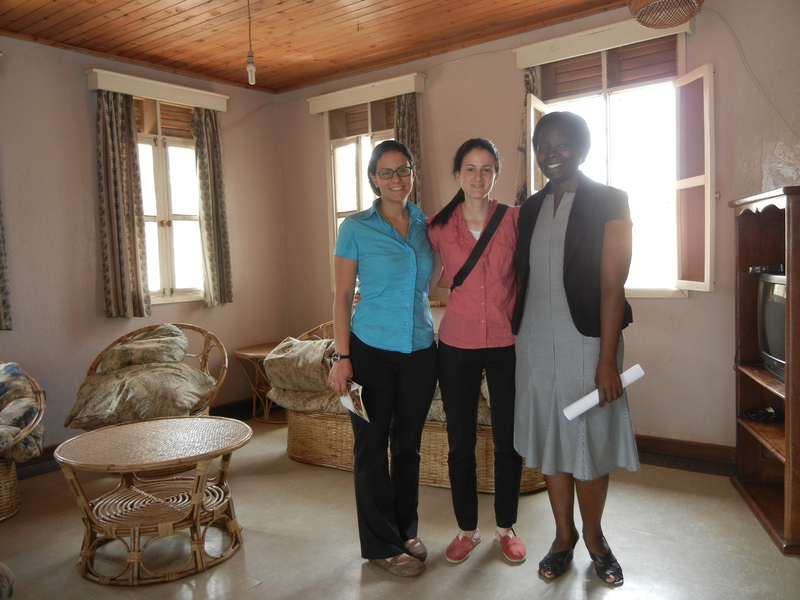 The services provided by Hospice Africa Uganda (HAU) are available to patients regardless of socioeconomic status. Patients can be referred by other healthcare providers or they can be self-referred. Most patients either have cancer or advanced HIV/AIDS but they are seeing a growing need for palliative care in patients with chronic illnesses like advanced heart and lung diseases. We were invited to stay for lunch. I thought you might be interested in seeing how the traditional Ugandan meal is cooked. 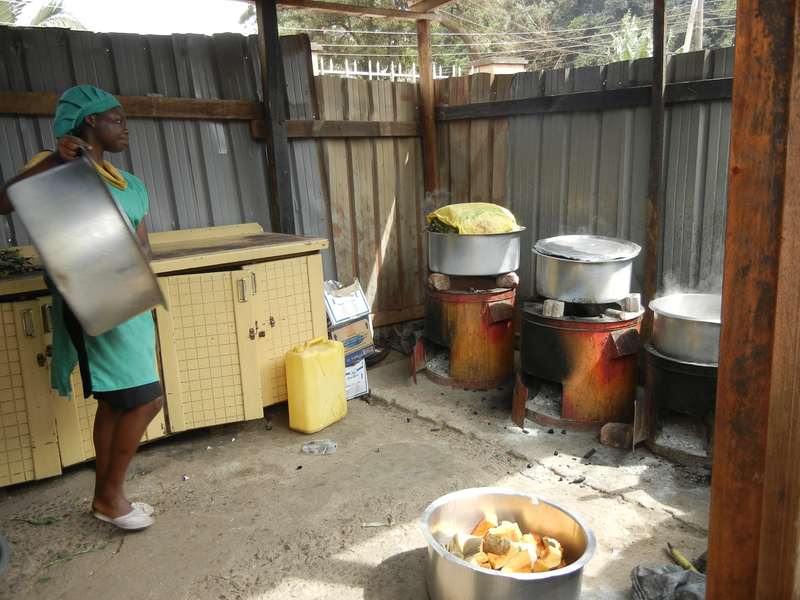 This is the cookhouse; the pot in the far corner is filled with matoke that is steaming in banana leaves. The pot in the foreground holds sliced pumpkin that will be put on to cook soon. They will also cook rice. 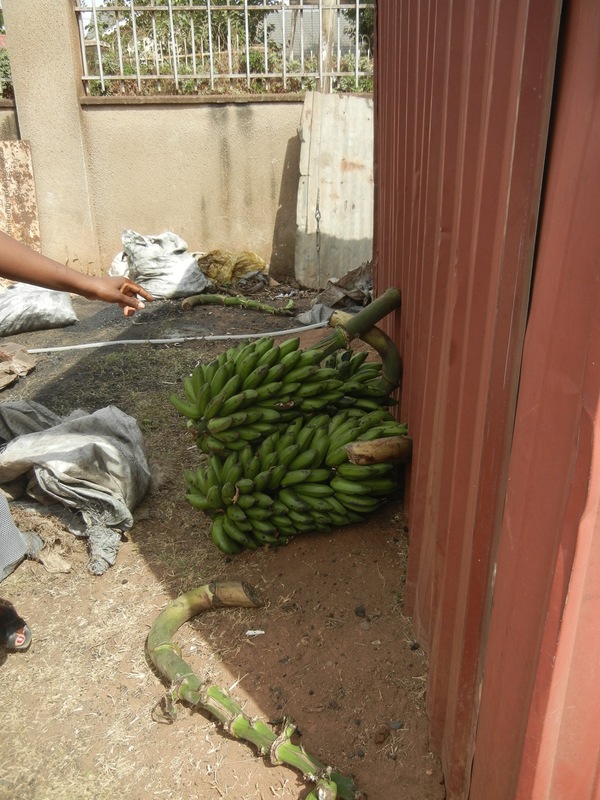 The green bananas are Matoke- yes, they are ripe. They are peeled and chopped up then I believe they are boiled before placing them in the banana leaves for steaming. It comes out as a yellow sticky substance that looks like very thick mashed potatoes. It is served with a sauce of beans or peas or meat. 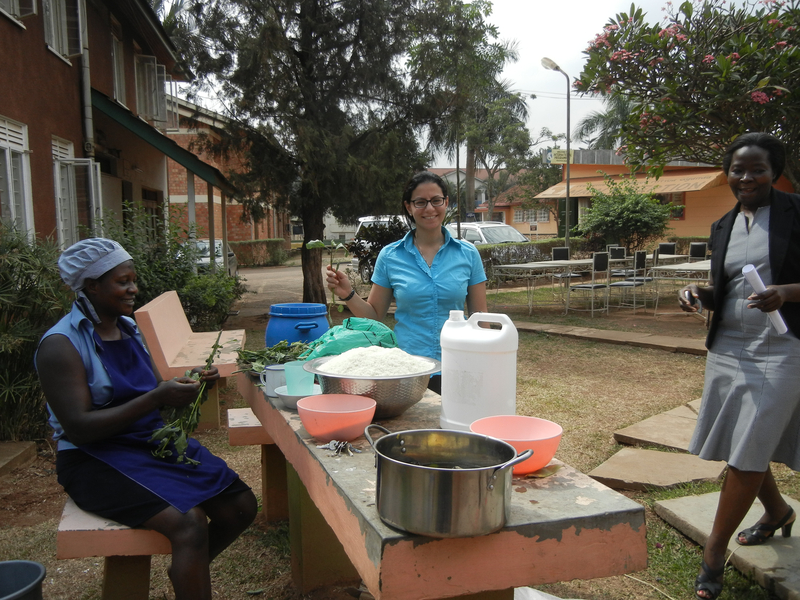 This entry was posted in Fulbright Specialist Project and tagged Global Pharmacy Practice, Home hospice visits, Hospice Africa Uganda, St. John's University New York, Uganda, Wilkes University. Bookmark the permalink.